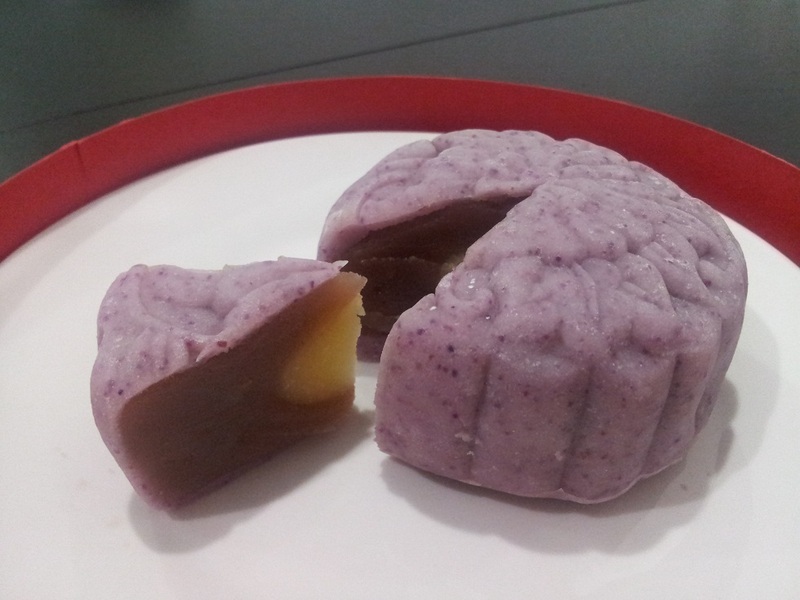 My snowskin mooncakes were better this year. I only made 8 taro and 8 green tea [using 2 packets of taro paste and 2 cans of Wu Chung green tea paste because KFL didn't have the green tea lotus paste :(.]. I had quite of bit of snowskin dough left because I rolled it out thinly this year (unlike the rustic ones I made once.. haha).... Well, I'll make them into dumplings, I guess? 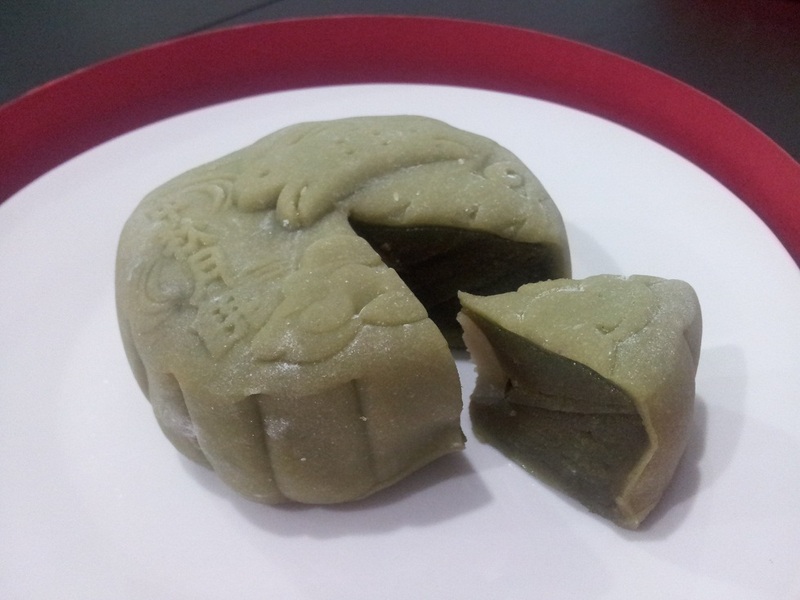 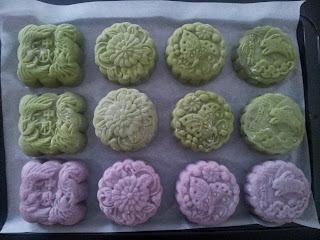 I'm also quite satisfied with my baked mooncakes, apart from the filling. The filling was a tad dry, but the skin turned out well. 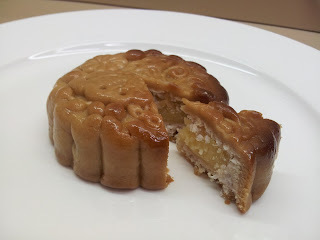 If you wrap them in glad wrap once they're cooled completely, the mooncakes will maintain it's moisture and appear glossy too. Refrigeration doesn't hurt them either! 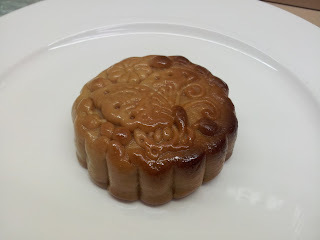 Next year, I'll fill them with something else.